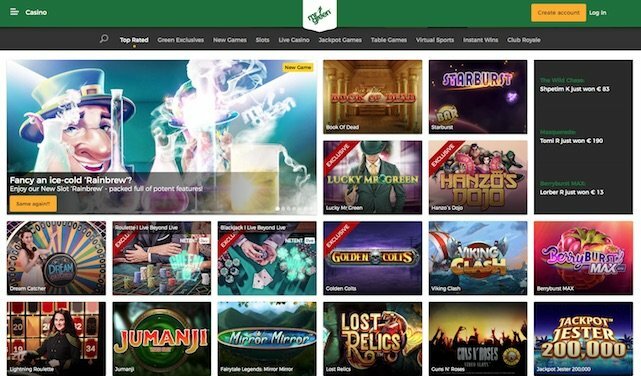 Founded in 2008 Mr Green Casino otherwise known as the playground has become a recognised force within the gaming industry and one of the best online slot casinos for UK players. Boasting one of the coolest platform designs currently in existence, Mrgreen.com have utilised the very latest in dynamic graphics and software to create a highly capable and user-friendly website that is now light years ahead of the competition. One of the live casinos most simple games, just bet and watch the wheel spin! Stylish and completely sophisticated, everything about Mr Green screams class. The design is simple and effective; the green striking colours complement the entire platform and getting around is easy. See the latest winners, monitor current jackpots and get fed the latest valuable bonuses. Catch the latest games, see suggested games and play top rated games thanks to powerful selection technology that leaves no second guessing for the player. Mr Green Casino knows exactly how to do things! Both real money players and fans of free play casino flock to Mr Green on a regular basis but why? What is it that sets this casino apart from the rest? Well, after visiting the Green Mansion it doesn’t take long to find out. That’s the first big reason this website works on the level it does; Mrgreen.com markets itself on the idea of great prosperity, riches and the good life. With games developers Net Ent, IGT, Betsoft and Microgaming knocking down the door to offer their best work and products. It’s no wonder Mr Green Casino is now one of the top choices for real money players from the UK. The site is also one of the most generous in that it offers both free spins and free play as part of the parcel. Regular parties, sophisticated socials and well drawn out promotions make this casino very appealing indeed. There’s something exciting about a games platform that feels more than just a destination on the web; it’s as if this place existed. It’s why Slotsquad loves Mr Green, because there is no place like it on earth. Certainly not for slots fanatics! Life gets better after signing up, and the playground is somewhere to make your bed for the bonuses. It isn’t one of those online casinos that drop a bombshell following registration that you’ve sold your soul to a pitiful non-bonus dump hole. MrGreen has all the trimmings, and he’s not afraid to offer them out. You can often find special promos running alongside some of the sites most popular slots, like extra spins on certain games when you deposit. There’s random cash drops for lucky players, dazzling cash tournaments on weekends, top events with holidays up for grabs and a busy seasonal bonus calendar too. Plus more bonuses when new slots get released. 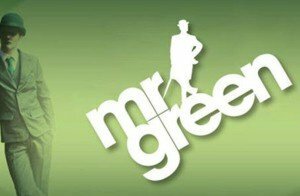 Mrgreen.com has upwards of 400 games including 27 of the industries most popular online slots forming part of its network. Developers Net Ent, Microgaming, Betsoft and IGT all form a coalition to support Mr Green with some of the most powerful, graphically superior and highest paying casino games available. 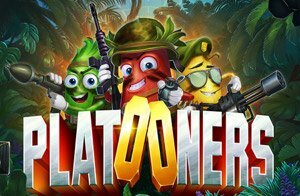 Online slots include Attraction, Pixies of the Forest, Space Wars, Starburst, Ghostbusters, Fruit Shop, Blood Suckers, the Aliens casino game and the Jurassic Park Slot. One of the latest games to hit Mrgreen.com is Koi Princess with 8 bonus features. Players will find slots divided into themes making finding what you want simple and fast. For those looking for the bigger paydays, Mrgreen.com has some of the best progressive jackpots on the market. Progressive slots like the Mega Fortune Jackpot, Hall of Gods, Cluedo Mega Jackpot and the Monopoly Rich series should set off alarm bells for some massive cash hauls. It’s a playground for both non-progressive and progressive casino game enthusiasts. Recent Slotsquad popular slot reviews include Aloha Cluster Pays, Rugby Star, Hot as Hades, Bridesmaids, Miss Midas, Jackpot Jester 50000 and Rabbit in the Hat, all found at Mr Green. 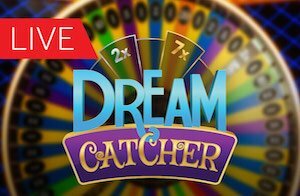 You can also play new NetEnt Slots Dazzle Me, Twin Spin, Dracula, Sparks and the exclusive Mr Green Moonlight Slot now available at the top UK casino. Other options include 13 variations of roulette including live VIP, live Immersive and roulette high roller. With blackjack players get eight options including glamorous and exclusive live tables, double exposure and blackjack professional. In the poker room and Mr Green Casino has one of the largest video poker collections around, this impressive line up features texas hold em, joker wild and Carribean stud poker. Last on the list and we reach the red dog room, triple wins high roller and even a bingo game. Did we also mention that Mr Green has one of the most impressive live casinos incorporated into its software? The playground just keeps getting better! Uses a multiple map and frame which incorporates the top four online game development firms. IGT, Wagerworks, Microgaming, Net Entertainment and Betsoft work in harmony on this fully integrated platform. The result is clean, seamless and uninterrupted playability in a safe and secure location. It is one of the nicest looking casinos out there. It’s also a feeding ground for real money players looking for the latest and most popular slot games, because software like this supports them all. The Mr Green support machine is ready and waiting and has the power to deal with any concern should it arise. The team here helps players by means of email, 24/7 telephone support and live chat operating 6am to 11pm UK time. You can deposit via major credit and debit cards, Bank Transfer, Neteller, PaySafeCard, Entropay and Moneybookers. Withdrawals are fast and processed within 48 hours too. The minimum deposit at this casino is £20.00 in order to qualify for the welcome bonus. With a strong reputation, significant credibility and one of Sweden’s top 100 sites for the past four years, the man with the green suit can stay all day. The strong welcome bonus of £100 along with 200 free spins makes Mr Green Casino a top hunting ground for real money players, sorry playground. It’s impressive, trusted, highly regarded and extremely capable. It’s world class casino in its prime, and online slots at their very best.